An Adelaide pistol and rifle club is hoping its new shooting range will help attract a stream of newcomers. The API Pistol and Shooting Club shifted from its old home in Torrensville two years ago, when its lease ran out. 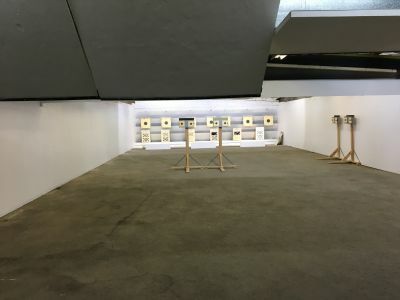 It managed to find a new home in Dry Creek, in Adelaide’s north, courtesy of the Adelaide Smallbore Rifle Club, which offered to share its indoor facility. The good news: the new HQ came with a 20-metre shooting range, double the length of the API P&SC’s old range. 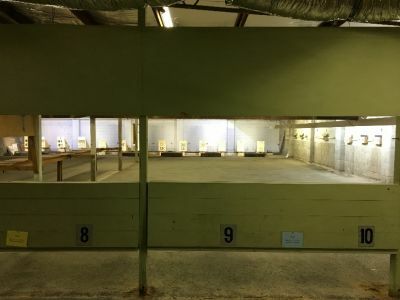 Not to be deterred, the club’s members came up with a modified design that would allow their two different shooting disciplines to co-exist on the same range. To make it happen the Office for Recreation, Sport and Racing chipped in with a $22,000 grant under Round 43 of the Active Club Program; the club found some extra cash of its own; and those hardworking members put in about 800 hours’ worth of free labour (spread over 28 working bees!). The ‘before’ and ‘after’ pics show the difference! The club’s 35 members (all of them male, by the way) rate the new range very highly – and they’re rapt too with the new kitchen, toilets and seating area. Club spokesperson Kevin Dennis says the changes have made for a much more convivial atmosphere. The hope is that it will translate into increased membership numbers: the big wish is to double the numbers within a couple of years - and branch out so that it’s no longer a blokes-only affair!